When I was writing my new book, The Stranger in My Genes – about the DNA test I took that shockingly suggested my father wasn’t really my father – I thought my story was unusual, if not unique. Boy, was I wrong. After the ebook version was released on August 23, I almost immediately heard from several friends who told me about people they knew with similar stories. There was the one about the man who received a DNA testing kit for Christmas one year, and – long story short – discovered a daughter he didn’t know he had. Merry Christmas. I also heard about a man who took a DNA test, and when the results came back he contacted an older gentleman listed on the DNA lab’s website who matched him to a T. This man turned out to be his biological father, which was news to the father who raised him. I heard from several friends, asking if I had heard what happened to Tom. And there were other stories. The one that touched me the most involved a friend I will call Tom. I heard from several friends, asking if I had heard what happened to Tom. I had not, so I reached out to him. Tom and his wife, whom I will call Betty, are in their early 80s. I have known them my whole life; I grew up with their children. I knew Tom and Betty’s widowed mothers. And they all knew my parents. 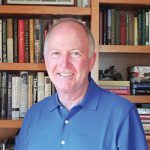 Tom retired in the early 90s and, like me, he developed a passion for genealogy. Tom and Betty traveled around the country visiting places where their ancestors lived, just as my wife Cindy and I have done. After interviewing several cousins, Tom wrote a book about his family’s history, just like I did. Tom’s book was self-published. Mine, called By Faith Alone: One Family’s Epic Journey Through 400 Years of American Protestantism, was released in 2008. Then Tom took a DNA test. Just like I did. And, oddly, he also didn’t match any family members. Finally, a 96-year-old cousin stepped forward with the truth, and at the tender age of 78 my friend Tom learned that he was adopted. The cousin happened to be present the day Tom’s mother brought Tom home from the adoption agency, when she made everyone swear that they would never tell Tom that he was adopted. And so all of the cousins patiently answered Tom’s questions about the family’s history and allowed him to write his book, all the while keeping one tiny detail from him. 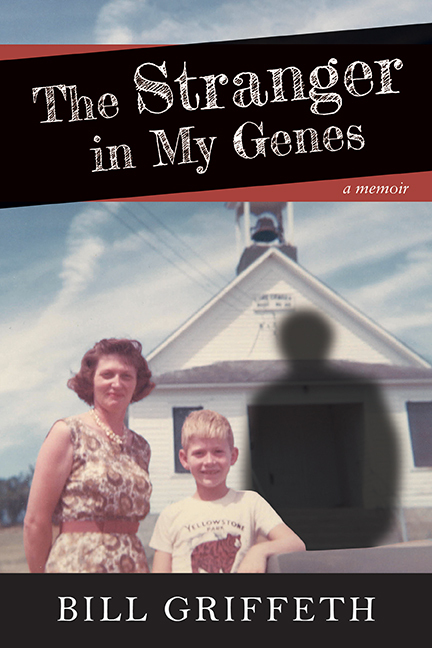 Since then, Tom has self-published a second book, sort of his version of The Stranger in My Genes. I can’t wait to read it. So apparently my story is not all that unusual. And I think it’s safe to say that as the DNA testing business grows, more family secrets will be revealed. And won’t that be fun. By the way, Cindy and I are having lunch with Tom and Betty in a few weeks. I’ll report back after that. That really is quite an interesting story. I know I need to get my families tested to see what known & unknown surprises we have in store. I know I want to know what area of the world besides Germany & Ireland I come from. Something that has crossed my mind many times. Won’t that be a kick-in-the-pants for many when they discover they aren’t who they thought they were? And, then too, as a man thinketh in his heart, so he is. I grew up knowing I was adopted, and having my DNA tested has helped me connect to my “bio” family. One side was happy we found each other, the other side not so much. Definitely worth it, and now my found family is doing more DNA to further our mutual genealogy! I can’t wait to read your book! I have purchased your book and am waiting to read it..My story is similar to the others. Purchased kit back in 2012 and lo and behold, contact from a first cousin whom I did not know, nor recognize the surname. Her family and my mother’s lived 3 blocks from one another according to the 1920 Census within a tight Italian community in Denver, Co. Apparently we share Y-DNA through her grandfather, who was my mother’s father. I am now searching for the birth mother who may or not be the mother who raised my mother. More testing and checking out the FAN of the community. There will be many discoveries for us all. I found a first cousin, once removed, a daughter of my cousin who never knew of her existence – in fact, no-one in the family knew of her. I wasn’t looking for her but when her name (which I didn’t recognize) and face popped up as such a close match, I was compelled to contact her and find out who she was. Within the space of a day, really, I figured out who she was, broke the news to her father, and they made contact. They are both really happy and so am I.
I am a little confused on the DNA testing. My relatives would have to do the DNA too, in order for them to show up on my test, right? Anyone related to you, whether you know who they are or how they are related may come up as a match. Having close relatives test helps narrow down where the new relationship comes from. Great book and entertaining read. My parents grew up in the next county in Kansas and an aunt and uncle lived in Manhattan. Spent several summers in the area and have been back to do research in the last few years. Thank you for sharing your journey with me and so many others. After I finished reading your book I went into my home office and looked at the 15 foot printout of my family tree that I have been working on for about 15 years. All I could think was how many untold stories are attached to those people that I will never know. It brought an entirely new perspective to my family research. Another thank you for your openness, sensitivity, honesty and willingness to share your journey. I read The Stranger in My Genes in one setting. Excellent! It was a page turner for me. I wish you could tell us Tom’s real name and the title of his upcoming book. I’d love to read it too. Can’t wait to read the book! I was recently contacted by a person on the West Coast who was descended from slaves in Georgia — I am white and my ancestors are all from the Northeast, but we had shared DNA and a common surname in our trees. I helped him find our common ancestor (we are 9th cousins) and that his 8th great grandfather was a president of Yale! I also found out through my DNA test that I am part Jewish — and then found my Jewish ancestors. DNA can unlock a whole new world — and I believe can help us find more common ground with humanity. My brother and I both took Ancestry.com DNA tests. To whom should I go to determine if there are discrepancies? We think there may be some, but neither knows much about DNA. You could try a professional like Roberta Estes at DNA Xplained. Can’t wait to read your book! My husband did DNA testing at Ancestry, 23andMe and FamilyTreeDNA to try to find his birth parents. His birth mother had used a fake name and did not list the birth father. It took us a few years, but we were able to find them. Birth mother had passed away in 2001 but birth father was still living and had no idea about my husband. Not exactly a happy ending, but my husband is satisfied knowing who they are and why he was given up for adoption. Hi Bill, I, too took an Ancestry.com kit as I have always been interested in genealogy. Results came back and low and behold I have different father. I have known for over a year now but hadn’t a clue even though I was the youngest of four girls, born with blonde hair when all of my sisters were born with very dark hair. Additionally, I am 3 inches taller than my tallest sister and a dimple in my chin that no one else in my family has. However, still NEVER a clue and the news hit me like a ton of bricks. I connected so much with you when I saw you in an interview yesterday and you gave me hope as sometimes I feel as though I have reached the acceptance phase but yet still have days where I could cry at anything that is sad. A person does truly see the character of people when you go through something such as this. Some are incredibly genuine while others couldn’t be bothered. Then your own sister is upset with you that you didn’t tell her right away! My mother was not transparent as she was “taking it to her grave” and it was like pulling teeth for any information. However, my supportive husband of 20 years has listened to me patiently as I work through this. I think I am incredibly humbled by the process and I do accept the situation as it is. My biological father is living. He is 76 and I am 46. He has hung up on me the couple of times I called to see if I can connect with him. I live in the Boston area and he is a 4 hour plane ride away. On the other hand, my father who raised me is an amazing man who suspected it since the day I was born but raised me just like I was his. What an amazing man my dad is and it has bonded us on a deeper level now. I did give him the news last October 2015 and he went through a grieving process as well as he never knew 100% for sure. I am so thankful and lucky for my dad. My apologies this is so long! I think it is some type of therapy I didn’t have to pay for! I can’t wait to read your book! I purchased this book for my husband, who discovered last year (2015) that the man who raised him was in fact not his biological father. Similar situation, I was doing the family tree research and thought the DNA route would enhance our paper trails. My husbands DNA showed he was only a half sibling to his brother and they had a different YDNA result. Since his mom and dad are deceased we ask the eldest family member, who had been holding onto this secret for 57 years. The elder revealed the truth, but the bio father had passed away in 1989. This book had helped my husband and myself. Bills struggle with this new info was the same as my husbands. Thank you for a great book. I think Bill should connect with his half siblings! I sent both my husband’s DNA and mine to Ancestry in hopes of it helping in my genealogy research. Now, I’ve had a scary thought. In the 1980’s my husband’s brother was a medical student who donated sperm to a sperm bank……..
Hi Bill. My result was similar. My male cousins and I did not match any other people with our surname. My extensive research strongly suggests the NPE (non parental event) ocurred in 1804 when my 4th great grandmother 15 years old. One of 5 neighborhood brothers was probably the source of my Y DNA. It has been a remarkable research journey. After working on my family tree, I turned DNA to enhance my research. My husband Glenn and I did our DNA. Mine was simple and straightforward. My husbands results were shocking and revealed that his dad was not his real bio father. This secret was known by several family members and this secret was taken to the grave by his parents and most of the people who knew. The truth was finally revealed ( 58 yrs later) and we are still trying to rewrite his family tree. You book was something we could totally relate to. It turns out that Bill did leave enough clues in his book to discern who his apparent biological father was. It does take a bit of work however to connect the dots.